Brother of Saint Chad and Saint Cynibild; his brother Caelin was also a priest. Benedictine monk at Lindisfarne, England. Spiritual student of Saint Aidan of Lindesfarne. Priest. Missionary to the Midlands of England in 653, sent by King Oswiu of Northumbria with three other priests at the request of convert King Peada of the Middle Angles. Worked with Saint Diuma. Missionary in Essex by request of converted King Sigebert of the East Angles. Bishop of the East Saxons, consecrated by Saint Finan of Iona. Founded churches and monasteries at Bradwell-on-the-Sea, Lastingham, and Tilbury, and served as abbot of the house in Lastingham. Attended the Synod of Whitby in 664 where he acted as an interpreter, and at which he accepted Roman Easter observance. In his old age he retired to the monastery at Lastingham, Yorkshire. Joined the Friars Minor Conventual at Nocera, Italy at age 15. Home missioner in southern Italy, serving from convents in Campania Aversa, Maddaloni, Amalfi, Ischia, Nocera Inferiore, Sorrento, Naples and finally, Ravello. Noted novice master, and known for the theological depth of his preaching. Worked fearlessly with plague victims. A miracle worker, he had the gifts of healing, and of levitation, and saw the soul of his sister ascend into heaven. Celina was early drawn to religious life, but acceded to her parent's wishes and married Joseph Borzecka in 1853. Mother for four, two of whom died in infancy. Widow. Founded the Congregation of Sisters of the Resurrection of Our Lord Jesus Christ. Canon. Studied in Paris, France. Archpriest and then bishop of Piacenza, Italy. Bishop of Pavia, Italy in 1216, chosen by Pope Honorius III. Benedictine monk. Missionary to Germany with Saint Boniface. Only bishop of Büraburg, (part of the modern Archdiocese of Mainz, Germany) in 741. Brother of Saint Fructus of Segovia and Saint Engratia of Segovia. Martyred by invading Moors. Sister of Saint Fructus of Segovia and Saint Valentine of Segovia. Martyred by invading Moors. First bishop of Strasbourg, France. Born to the nobility. Monk and then abbot at Lyminge Abbey in Kent, England. Bishop of Hereford, England c.736. Archbishop of Canterbury, England c.740. Monk at Ripon, England. Abbot of Melrose Abbey in Scotland. 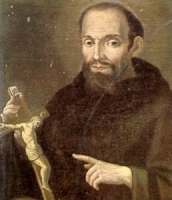 Abbot of Lindisfarne Abbey. Bishop of Lindisfarne, England. Bishop of Hexham, England. Bishop of Angouleme, Aquitaine (in modern France) in 541. Attended the Fifth Council of Orleans in 549. Shepherd. Deacon at Policastro, Salerno, Italy. According to Saint Gregory the Great, he raised a dead man to life. Fifth century bishop of Quimper in Brittany. Bishop of Mortlach, Scotland. Evangelized in Aberdeen, Scotland. Monk at Lérins Abbey. Bishop of Narbonne, France. Attended the 3rd Ecumenical Council in Ephesus in 431. Possible devil worshipper who converted to Christianity and was martyred in the persecutions of Decius. Monk at Einsiedeln Abbey. Abbot of Dissentis Abbey in 1012. Bishop of Metz, France in 716. Built several monasteries including Neuweiter and Saint-Avold. Benedictine monk at Fritzlar, Hesse, Germany. Prior at Buraburg, Germany. Priest in Northumbria, England. Evangelized in Mercia. Founded a monastery in Leominster, England. Seventh century bishop of Salerno, Italy. Nun at Faremoutiers-en-Brie, France. Spiritual student of Saint Fara. 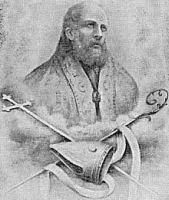 Father of Saint Gwinoc. Sixth century Welsh monk in Wales. Fourth century bishop of Worms, Germany. Son of Saint Aneurin. Sixth century Welsh monk and poet.